I’m living in my hometown Rosignano Solvay (Tuscany) in Italy. People like different genres, basically there is not a main scene. We have electronic music, reggaeton, commercial music, edm but also live music. I was 13 years old and it was love at first sight, I remember a guy older than us brought us the tapes recorded at the biggest italian clubs of those times. At 15th I bought my first turntables with some friends, the first home parties, the first clubs of my town and so on, step by step. What equipment / intsruments do you play / use? What do you attribute to your musical success? The emotions I feel for music for sure. Music for me it is not a job, it is passion, it is life and it always gave me the power to do not give up. I always put all my energies into music and I did a strong work till now, it wasn’t easy but I’m happy with what it is happening. A big motivational help came also from Carl Cox, which always supported my music playing my stuff around the world and releasing them on his label Intec. 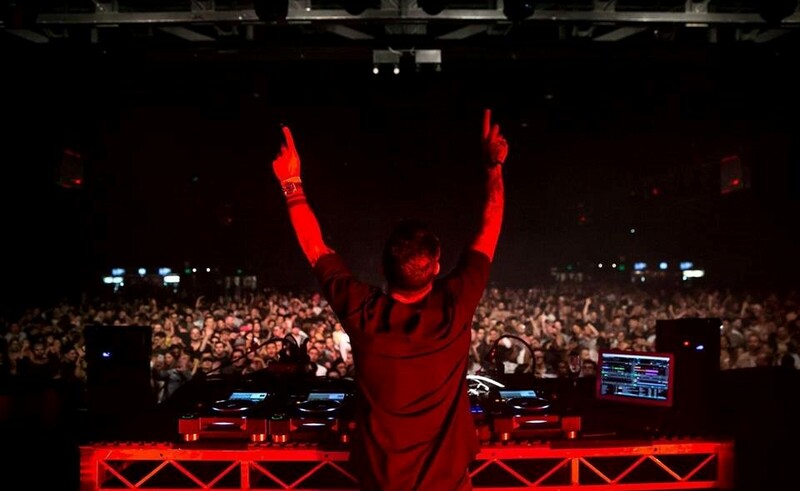 He gave me the huge trust to bring me to perform at Space Ibiza and now at PURE festival in Australia. It has been like: Wow, it is really happening or I am dreaming?? I mean, go to the other part of the world and perform at massive venues alongside so important artists I think it is the dream of all djs. It has been unbelievable, one of the best moments of my life. It was great to see people that were waiting my dj set and to receive a lot of private message on Instagram with kind words or video about me. I am so grateful to Carl Cox also for the time shared at his house and in his studio. In the electronic scene Adam Beyer and his label Drumcode Records, Loco Dice and all the tech-house scene with Jamie Jones, Solardo or Latmun. In this moment I’m also listening a lot of Hip-Hop like 50 Cent, Eminem, G-Unit. But also Depeche Mode are always in my car. You have an EP that will be released in May of 2018, what influenced the sound and songwriting for this EP? Yes, it is an Ep for the Berlin based OFF Recordings with four massive techno tunes. It has just been released last Friday. Basically I never have something that influence me making music. I just do what I feel in that moment. Whenever I have time I spend time in my studio, usually in the morning and in the afternoon. I had a lot of collabs in the past, the most recents were with Fideles, Ruben Mandolini & Kaiserdisco. In this moment I’m working in some new projects with Frankyeffe, Konrad (Italy) & Hollen. I also have a big one with a massive artist but I don’t want to reveal for superstition. Where will be able to listen / buy the EP? Almost in all music channels. The main one is Beatport but also Traxsource, iTunes and Soundcloud. On the 18th on May it will be available also on Spotify. I’m working on a lot of stuff in studio as solo projects. I have released my rmx for the new label of Carl Cox & Christopher Coe and it went very well. Then I will have my eighth Ep on Intec. I will perform with Carl Cox in Italy at Afrobar in Sicily and at Cocorico’ in Riccione. I will also take part at Creamfields UK, Medusa Festival in Valencia and El Row Tenerife. What do you find most and enjoyable and challenging about touring? First of all to see the reaction of people of different countries to your music but it is also nice to share moments and have fun with other artists. As I love travelling it is amazing to have the chance to see new places, new colours, try different foods and enjoy the wildlife. Connect with new people and learn about different cultures is the bonus. I almost like all kind of foods. I love good fish and meat, but when I can I also like to eat Asian foods.